"Godzilla & Hiroshima: The dawn of Kaiju Eiga"
Dread Central announced this documentary in September of 2013. 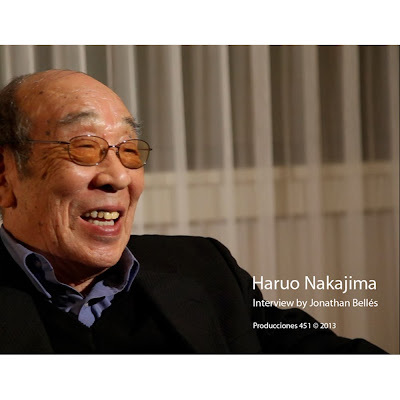 A new Godzilla documentary - which is actually a not-for-profit doctoral project by Spanish producer/director Jonathan Bellés - is on its way entitled Godzilla & Hiroshima: The Dawn of the Kaiju Eiga. Here are a trailer and some preliminary details. Bellés is putting the doc together through his production company Producciones 451, headquartered n Valencia, Spain. Bellés told blogger Armand Vaquer that Godzilla & Hiroshima will also include Gamera, Ultraman, and other monsters in the genre. The film will also explore the birth of the Kaiju Eiga genre and how the audience reacted during its early years. The film will include interviews with critics, historians and other experts in the field from Spain, France, Belgium, United States, Canada and Japan. You watch the official trailer below.